Normal moles are generally round or oval, with a smooth edge, and usually no bigger than 6mm (1/4 inch) in diameter. 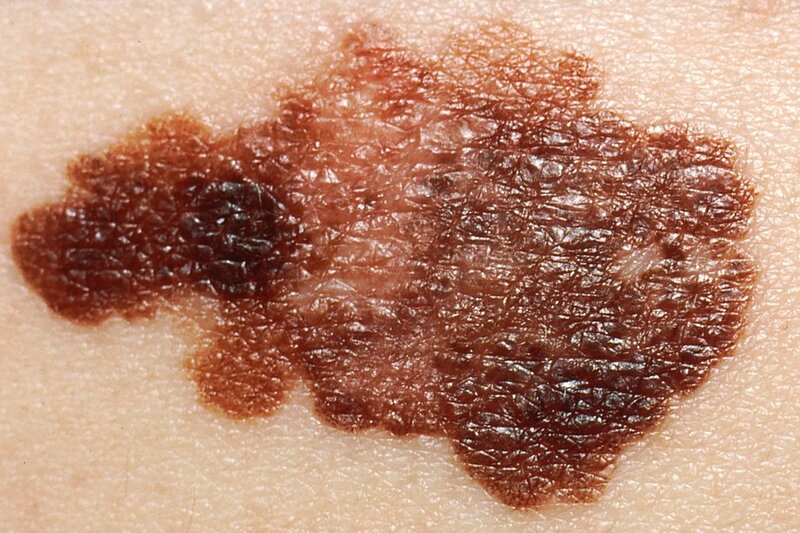 But size isn't a sure sign of melanoma. 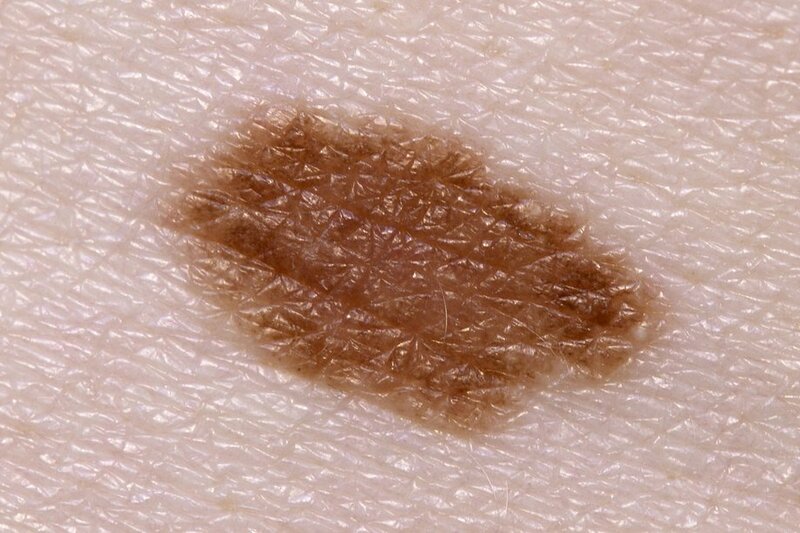 A healthy mole can be larger than 6mm in diameter, and a cancerous mole can be smaller than this. Melanomas can appear anywhere on your body, but they most commonly appear on the back in men and on the legs in women. They can also develop underneath a nail, on the sole of the foot, in the mouth or in the genital areas, but these types of melanoma are rare. Eye melanoma usually affects the eyeball. The most common type is uveal or choroidal melanoma, which occurs at the back of the eye. Very rarely, it can occur on the thin layer of tissue that covers the front of the eye (the conjunctiva) or in the coloured part of the eye (the iris). Noticing a dark spot or changes in vision can be signs of eye melanoma, although it's more likely to be diagnosed during a routine eye examination. Read more about melanoma of the eye.